OROGOLD Stores site was created to give our customers a better understanding of the culture and experience of visiting one of our stores. Each time someone steps into one of our locations we aim to establish a feeling of luxury inspired by gold. This site includes information about our stores around the world, news updates on Orogold happenings, a blog to keep you in the loop about everything related to the Orogold world, and background on our vision and culture. We have a guide of locations in top tourist spots all over the world. Not only will you find an overview of a hot travel area but information about the Orogold stores located there. You will be able to see photos of the stores along with location and phone number details. Before traveling anywhere check our guide for an overview of the locale and make sure to check which store you can visit while there. 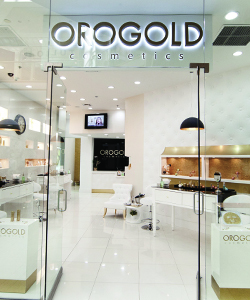 While all Orogold stores have a unifying theme and visual aesthetic often different locations have unique features to them. For example, some of our stores have special VIP demonstration stations while others boast completely private rooms for facials and other treatments. The blog covers exciting content centered on the Orogold Lifestyle. It includes customer experiences, information about new store openings, store reviews, and informative articles related to skin care and beauty. We are especially focused on bringing our readers news about anything related to Orogold stores – new locations opening, spotlights on stores all over the world, interviews with staff from around the globe, store reviews by experts, and any promotional deals being offered. We hope our readers will feel as though they are at one of our stores enjoying the experience. We are working hard to keep the blog updated with new and exciting information all the time. Check it often for exciting news about Orogold stores. The Orogold vision and store culture are integral components of our brand. Our vision is what we stand for and what we believe in as a company. Store culture as an essential piece of that. Orogold stands for a high end lifestyle experience that allows users the opportunity to capture the essence of pampered and well taken care of skin. All of our collections are intended to nourish and nurture a wide range of skin types and conditions. To this end all formulations are made up of the finest cosmetic ingredients and laced with gold. 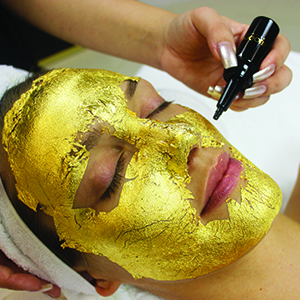 The secret behind ORO GOLD Cosmetics is Pure Gold. Throughout history gold has been associated with the embodiment of perfection. It is thought of as a “noble metal” and is the center of a whole philosophical tradition known as alchemy. Throughout history across the world and across cultures people have aspired to turn base metals such as mercury into the profound object known as gold. The historical quest to acquire or create this precious commodity in any way possible inspired Orogold to offer this luxurious material to consumers. Oro Gold Cosmetics specially infuses each one of its products with 24K Gold. Pamper your skin with the luxury of pure gold for a timeless, flawless, youthful, and radiant appearance. In the meantime, the Orogold crew looks forward to seeing you at one of our many store locations throughout the world. Whether you come in for the experience or just for the products, we guarantee you will find yourself richer for the encounter. OROGOLD Cosmetics is a luxury skin care and cosmetics company dedicated to using the finest ingredients. OROGOLD based the concept of their entire line of products on the ancient store of knowledge that Gold is a powerful mineral that has numerous health benefits when used in different applications. The topical application of Gold to the skin has long been touted as one of the primary beauty secrets of royalty and the wealthy in societies across different regions and periods of time. Cleopatra, the famed beauty of Ancient Egypt, was said to wear a mask of gold to bed every night for a complexion that glowed with health. The OROGOLD mission is to harness the powerful anti-aging properties of Gold to provide our loyal customers with a product beyond compare. OROGOLD also spends countless hours working to formulate the most potent products we can using the finest ingredients to supplement our signature gold formula. OROGOLD Cosmetics has now grown to include over 12 collection, each designed to target and treat a variety and skin types and skin care concerns. From our Men’s collection, tailored to meet the shaving and skin care needs of our favorite fellows, to our Exclusive Nano collection, designed to pack a powerful anti- aging punch, there is truly a product for everyone. Even young people flock to OROGOLD because they know that prevention is the true key in making our products as effective as possible in their anti-aging capabilities. 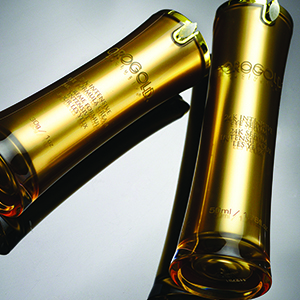 OROGOLD Cosmetics has become a reputable and trusted name in the luxury skin care industry. We are dedicated to bringing the finest products in a one of a kind retail experience to our customers. Opening an OROGOLD retail location means you get to join a family of knowledgeable and dedicated Skin Care Specialists who have a product to offer everyone. Targeting today’s consumers, OROGOLD has created a line of products that is very appealing to people of all ages and from all different backgrounds. This is the movement that you could be a part of. I don’t know much about your product. I got your day cream sample from my visit to Whistler. I am interested in your anti age products for removing age spots. Is it possible for you to recommend or send me few samples to try. Thanks! Thank you for your interest in orogold cosmetics. Unfortunately we do not have samples of the products to send. we do however offer a full complimentary demonstration of oro gold products at any oro gold store. Please let us know where you live so we can direct you to your closest orogold cosmetics store. In addition we would like to know which product are you using at the moment. I have my first ORO GOLD experience in Sant Barbara, California. The sales clerks are handing out some samples, and I happen to get some. For curiosity, I went inside to check about the products. The people inside greeted me, offer some thing to drink and started to explain about the products. They tried the 24k deep feeling cream on my skin, and I was impressed with the result. Aside from its fragrant, it’s very soft on the skin. I was convinced right there and did not leave the store without buying the product. After a month, here I am, buying more of the ORO gold products. You will not regret about it. You worked hard, therefore you have to pamper your skin with high quality products like ORO Gold. You will look younger and fresher every day. ORO gold is the best. Hi! Last weekend, I was walking in Mission Viejo Mall and a lady from a kiosk handed me a sachet sample of 24K Moisturizing DAY Cream 3G.She was like trying to show me some of the products but I was in hurry. That was Sept 29 and today Friday I thought of using it and while applying it to my face, I can feel the hydrating effect since my skin is really dry and I am now using Estée Lauder and planning to buy Clinique hydrating lotion soon. I will continue using this sachet to the last drop and I’m excited to see a bigger result.I have drooping eyelids and I hope to try one of your eye creams.I lIve in Mission Viejo, do you have a store near my place ?Thank you so much. I have very obvious dark circle around my eyes area and it has been disturbing me for years. I tried my eye creams, eye marks of different brands some are even of famous brand names but it didn’t work for me. I spent a lots for solving my dark circle including having special facial treatment on eye areas, taking Chinese herb medicine (because some Chinese doctors said it is caused by my weak kidney so that I have to take the herb to build up a strong kidney and in turn, to solve the dark circle problem). All the times, I used cosmetic to cover it to make it look less obvious. I’ve never tried your products. Would like to. Was wondering if I can get some prices on your creams and facial serum? I’m currently using platinum facial creams from la prairie. We have several creams and serums to choose from. Prices can be found on our website: http://www.orogoldcosmetics.com/cosmetics.html. Lave su cara y aplique una pequena cantidad, evitando el area de los ojos. Frote el peel de forma circular. No deje el producto por mas de 30 segundos. Enjuague con agua fria. Where can I buy Orogold products in Germany. I tried the Orogold product in Mexico City and I am in love with them, now I moved to Germany and I can not find them anywhere. We’re so pleased you enjoyed your visit to our store in Mexico City. Unfortunately, there no OROGOLD store locations in Germany at this time. Your best bet is to purchase from our website http://www.orogoldcosmetics.com. Right now we’re offering 20% off with discount code OG20OFF. If you’re ever in London or Barcelona, those are the closest stores to you. I would love to win this for my hub. I’ve read your facebook page (domestic and international) and I see lots of great reviews especially Philippines and Hongkong. Seen photos of your spa in your first flagship store in Makati and I must say I’m speechless. World class indeed!!! I have been very curious about these products. Right now I tend to have blotchy skin and dark spots. I love the fact that the products are created with and inspired by the beauty and mystique of gold; a metal so precious that men have risked their lives over it and cherished its worth for thousands of years. Hopefully one day I’ll be able to enjoy the Orogold experience! Is it a truth you make this giveaway? Wow sounds so luxurious! Would love to win this for my husband! i have never tried your products, but always looking for the best and most effective skin care. Hope I am commenting on the right article to win the mens prize pack my husband would love this it looks amazing. First time hearing of this skincare line. I am always up to try a fantastic product! Very nice read. Sounds like a great product line. I would LOVE to try! Thank you OROGOLD for amazing information about your products, actually this is my first time to heard about OROGOLD it’s sound very interesting, I tell you frankly I really don’t know about this product and I never try it anymore, being fashionista, I’m always looking for something new and what is new, I think OROGOLD brand is the kind of men cosmetic products that I can’t ignore. This is the perfect time to introduce it in the Philippine market. I’m obsessed with wanting to try Orogold! I hope I can! I’m entering the contest that ends on 6/1/14 for free products! I am really looking forward to visiting an Oro Gold store the next time I’m in Rome or Miami. The products sound wonderful! These sound like beneficial, high-end skin care supplies! I hadn’t heard of Oro Gold before today. Do you have a store near Dallas? There is an OROGOLD store in the Dallas Galleria. For more information, please visit http://orogoldstorelocator.com/. I’ve just recently been introduced to the Orogold line and I am amazed at what it has done! I don’t know how I survived before this! Hopefully I win the whole line! Great product. Tried a sample and would love to try more. Thanks! Interesting article and informative too!!! It was worth reading it! The product looks worth using and the way its described it holds the readers attention. Thank you for such a luxurious feel product! I was in Singapore when I was given a demo on the Oro gold serum and day cream, the effect was amazing. So I bought both, it may sound costly but as only a little is needed and it goes a long way. It’s definitely a product worth investing. I purchased the 24K deep day moisturizer cream after a friend recommended the product. I cannot believe the difference in quality compared to moisturizers I have used in the past. Absolutely no greasy feeling and the scent is very pleasant. Would recommend to anyone. Nice products…Sample products were tested and I got good results especially the 24K Golden Body Scrub and 24K Deep Peeling…..
Oro Gold you are amazing! I love gold but who doesn’t? I am hoping to win my husband this contest because he liked my OroGold! Aaron Reck and James Mccleese really love orogoldstores.com products and services! I bet I will too! My mother has the Women’s Orogold. I would love for my father to have the men’s collection. I was in San Francisco at the start of this week on business and found myself blindly passing an Orogold store (never heard of it before in my life and am terribly clueless when it comes to my skin). I glanced over to a beautiful lady and man standing at the front holding out small sample bags. I started to turn up my nose and the male said “here, take it”. I said “is it free?”. “Yes”. “Okay. What is it?” I stupidly asked; just as I was supposed to. The next thing I know I was sitting behind the counter looking at the computer screen with an Italian salesman showing me all the discounts I could get for being such a tough customer. Confusing? To be fair, I was not as tough as the toughest Jew apparently, but still one of the toughest. I walked out of the store with six different products. I liked the liquid peel on my hand. I’m seeking for the most suitable product for my skin. It sounds very interesting how they infuse gold into skin creams and cleansers for your skin.I recently stopped by a OROGOLD store in my area and was given a demonstration of how the skin care products work, I was very impressed and noticed the difference immediately in my skin. OROGOLD is truly top quality. I’ve heard orogold products from one of the nurses who I work with.She said that her friend has been using oragold and testify that the products are really good for her skin. As for me, I never try your products at all, but I do believe that your products will be incredible. Please give me more details and some promotion as a potential customer. I just visited the edmonton store today and made some very nice purchases that I am excited to try. The service was great! several years including the mask treatment. individual person as taking the “eggs” would not be practical. It’s great that you have skincare products for men. Heard about your amazing and quality products. Would be nice to try it first hand. Thank you for this giveaway. I just bought the face peeling and day cream! I love it just tried it last night and my face feel so soft! compre el liquid peel en Santa Barbara,Ca en diciembre y finalmente lo use hoy it feels great!! pero no consiento los aromas y el moisturizing cream is making me sick, despues de usarlo, lo puedo sentir en mi garganta! a pesar de que es muy ligero el aroma. 🙁 i really like the products!! Hola Maria! Siento escuchar que no estés disfrutando al 100% de nuestros productos. Desafortunadamente no manejamos el producto sin aroma. Disculpa la inconveniencia. I like a high end life style that allows me the opportunity to capture my essence. I love your 24K Hand Cream. What else would you reccomend for moisturizing skin? I love Orogold Cosmetics. I love that your products are for both men and women and I think it quite considerate that Orogold has launched a line for men’s skin care. Shaving is such a burden and it has to be done sometimes or at the very least grooming. This is quite rough on my skin sometimes, I rest comfortably knowing that Orogold’s product will keep me from getting razor burn or nasty infected hair follicles. Ingrown hairs can be quite painful and visibly nasty. I trust Orogold’s staff and the line. Thank you for this opportunity. I am such an Orogold fan. I have been so happy with the facial cleanser and toner. I have seen marked improvements. I have such difficulty with shaving. I have to keep a clean face for my employment and it is quite irritating to my skin. I believe that Orogold has taken a great step in alleviating this problem. Thanks Orogold. I haven’t been to one of your stores but I’ve heard such rave reviews that I’ve planned a day trip to go to your store in Atlantic City, NJ this summer! Hello again. Plain Jane here with my revised comment. I think I got out all the type-o’s that I’d made. primary concern is my EYES. And, that the majority of my skin care line is by Shiseido. After she explained and used three products on me, I left with two products specifically for eyes. What I noticed on my way home was that I did see a decrease starting to take effect around my eyes, especially the puffiness under both. Also, lightly touching my skin I noticed it felt smoother as Well, I made sUre that I applied both as recommended by my skin consultant Melissa at Arden Mall in Sacramento. This morning I awoke and saw my skin having more positive results!…smoother and more LESS PUFFINESS! I decide to go back to the Arden Fair Mall today to thank her;and, ask her what is the next step to having healthier looking skin. Well, if I Win, then you will.be able to find out the third and fourth product I added to my skin care regime.Sooooo, stay tuned for the next beauty tip from me, Plain Jane at your service for “REAL” experiences at your store. Love all my oro gold products and our rep Ocean at the Galleria at Tyler is the best. Just can not say enough. Love your product and what a differance in the appearance of my skin. The tone and feel of my face and neck after just one weak of use is remarkable! I have never heard of your products, but I am always looking for new products to use on my face. Nice to see that your company is expanding into various cities. I would love to try your Oro Gold Cosmetics products and experience firsthand the refreshing hydrating effects on my skin.I love trying new products that I find appealing and of awesome quality.They sound so luxurious. I love this product , I have never tried it my self however I was with a friend when she purchased something and the experience you receive in the store is A+++. I wish I win anything ,one day. I would like a spa day? Hi i got a free sample and i really liked it .i would like to try other products. Your products looks exceptional and I don’t know any that come close.. Would love to try some of you luxurious rich products! These are high quality excellent products. I would really love to win this sweeps, because i love thir products. I have never tried ΟRO GOLD Cosmetics and I would love to! I would like to win this package. have recently been using the eye serum with fabulous results. I notice this is made in France and I am regularly in Paris and wonder where in Paris i can purchase and at what price? Hello Debra – We are so happy to hear about your great results with the OROGOLD eye serum. To purchase online you can visit: http://www.orogoldcosmetics.com. At the moment we do not have an OROGOLD location in Paris. You can use this site to find other OROGOLD locations which may be near you: http://orogoldstorelocator.com. Was on vacation a couple of weeks ago. Visited the Orogold Store in Key West Florida. I came out with four products picked out just to fit my skin care needs. I wanted to reduce the dark circles under my eyes and also anti aging for my eyes. I also got the deep peeling product to remove dead skin . My greatest concern was spots on my face from age and sun. So I got the multi vitamin day moisturizer to reduce the spots. I have really seen a difference in my skin and in such a short period of time. I love the products and want to try the night cream and neck lift cream. There is no Orogold store near me but i will be ordering from Alex at the Key West store. Thank You Orogold. I would love to try this product I hope I win this giveaway. Very interested in the eye serum..I would love to win! I recently visited orogold stores in the georgian mall in barrie. A young man greeted me at the entrance with a sample then asked me inside for a quick try on the products. I was instantly sold I bought a facial scrub and day dream. After a slight issue with another sales clerk the original sales clerk apologized and even sent me on my way with a complamentary body cream… Loving people I would so reccomend them!! I just have a few questions, if anyone could email me back I’d be soo happy!! Nina – We are thrilled to hear that you were happy with your OROGOLD products! Someone will be contacting you to answer any questions you may have. Bought my first product today, the 24K deep peeling. Have large pores, cant wait to see how it does. The Summer Sale is going on now. Use promo code OGSUMMERSALE at checkout. When you buy 2 products, you get a 3rd for free. If you have any difficulty using the promo code, please email info@orogoldcosmetics.com for assistance. I am always running out of skin care products, we are a single income househould so, I have to be careful and not use the recomended daily skin treatment. I am so excited to be able to have enough of such a wonderful product that I can FINNALY take good care of my skin. I am not getting any younger I am 53 and proud of it and have had many health issues including cancer, it tales a tole on you face. So please consider me!!! I as I said my main interest is skin cre but I do need makeup also. *NOTE: I WOULD LIKE TO GET MORE INFORMATION ON THIS PRODUCT, I HAVE PROBLEMS WITH HEAVY BAGS UNDER MY EYES, AND I DO NOT WANT TO HAVE SURGERY DONE. MY SISTER WAS IN ATLANTIC CITY, NJ FOR A FEW DAYS AND SHE PURCHASED THE EYE SERUM AND CREAM FOR WRINKLES UNDER HER CHEEK AND CHIN, SHE STATED TO ME THERE WAS SOME IMPROVEMENTS, SO I WOULD LIKE TO TRY THE EYE SERUM. Would be so so so glad to win with u !!! Thanks for the opportunity ! Hope to get lucky. Tried sample. Pricey but verybody says it is worth the price…. I haven’t tried this, but I would love to! Can’t wait to visit a store sometime soon! I think that Orogold is lovely. The products I have tried are great and have worked. Orogold Cosmetic’s products have done what they said they would do. Thank you Orogold! I don’t know much about your product. I am interested in your anti age products for removing age spots. Is it possible for you to recommend or send me few samples to try. For dark spots, I would recommend trying our 24K Bio-Brightening Collection: http://www.orogoldcosmetics.com/cosmetics/bio-brightening-series.html. To try samples of our products, visit one of our retail locations. We offer free samples, product demonstrations, one-on-one skin care consultations, even facials! To find the store nearest you, visit orogoldstorelocator.com. I have never used Oro Gold, but they just opened a store near me in the mall. But I have heard nothing but good things, and what I have read if you want to pamper your skin than this is the products you want to use. I would be interested in trying this. Is there any way to get a few samples? To try samples of our products, I recommend visiting one of our retail locations. We offer free samples, product demonstrations, one-on-one skin care consultations, even facials! To find the store nearest you, visit orogoldstorelocator.com. This would be a great product but its not something I could use a lot of. A little costly but worth it. I really hope that I win! This would be a great prize to win and I would love to give it to my wife! Can’t wait to try out!! All of these products seem really amazing and I can’t wait to try some of them out. Really wish you had some samples to try! This is exactly what I look for in a luxury salon. High quality products and a pampering experience. I would love to win the giveaway package so I can try it for for myself! I would love too go too one of your stores too purchase a luxury pamper, do you have one located in Texas? I haven’t tried your products but would love to try them where would I find samples? I have never heard of your product. After reading up on it it sounds wonderful and like something I would like to try when I finish cemo and radiation. Love skincare products!! Especially at my age. I heard so many good things about thevalue of using gold in products. Would love to give it a try. I have never used Orogold products, but they sound so amazing, I would love to try them. Thank you for sharing this post. I haven’t tried this product, but would like to. 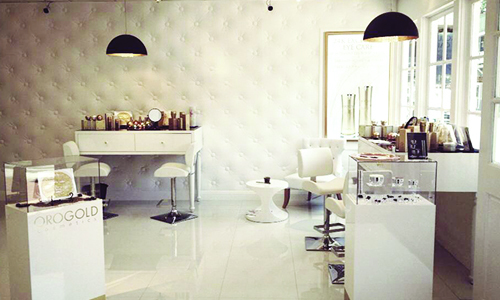 The store looks so luxurious…The products sound so amazing! I have not tried as of yet but am very interested in all that there is. I found this page very informative and useful towards making my decision on the products mentioned. Oro Gold is so luxurious and pampering. While pricey, a difference can be seen after one use. Would love to try every item they make! I’ve never used your product but I would love to give them a try I see a lot of people are commenting that they tried the sample product an was hooked thereafter! Sounds like a great product!!! Your products seem luxurious and effective. I would love to try them! if i win it will be the first time to try them on! I love my 24K MOISTURIZING DAY CREAM! Would love to have a store in Minnesota! sound greats ,I would love to try your products. Sounds like wonderful products. I would love to try them….Hope I win!!!! I am so glad that I found out about your products & look forward to trying them out! Talk about total pampering! I’m in! Ive never had the pleasure of trying Oro but I hope I can soon! I am 34 and in surgical menopause and my skin and confidence has taken a nose dive. Ive shed a lot of tears. Ive looked from 34 to 40 in less than 4 months. Husband has agreed(:-( ) Lord knows I need this and keeping my fingers crossed! Thank you for your information on everything! During a recent visit to California I received a wonderful facial at the OroGold store in Irvine. What a unique experience! I wish there was a store closer to my location. To find more information on how to use OROGOLD products, please visit: howtouseorogold.com. I really like the mission of creating a “high end lifestyle experience” I am new to Orogold but look forward to learning more. This sounds like a unique and pampering experience. Hello, I am curious to know if any of your products will help with my Melasma? I have tried from inexpensive over the counter recommended to expensive recommended and prescribed my dermatologist and no success. I have given up and deal with just foundation and concealers. It is hard to believe that with all our technology and science, that they have yet to find something to help Melasma. I wish I can create a breakthrough that will do exactly that and what I have in mind can be a crazy thought or already in the works. Thank you for your question. As I’m sure you know, Melasma is a common skin disorder, but can be a very distressing. Although we are not in a position to provide medical advice, we have found research that supports that kojic acid is one such ingredient that has been shown to improve the appearance of Melasma. This ingredient can be found in our 24K Bio-Brightening Dark Spot Solution. I suggest discussing this product with your dermatologist to determine whether it might be a good solution for you. Have loved everything I have tried … Looking forward to my next Oro Gold product!!!! I received your 24K Vitamin C facial cleanser and the Day Moisturizer from my daughter-in-law for my 60th birthday. She has business meetings in San Francisco quarterly, and bought it there. Unfortunately, I am now out of product and there are no stores near Madison, Wisconsin. I was hoping I could order off of your website but I see no way to do that. Suggestions? Thanks. Our fall sale is going on now through October 13th. Use code OGFall20 at checkout to receive 20% off your entire purchase. Hi Zau! Thank you for your question. The key to maintaining healthy skin is begin caring for it early in life. If you are over 18 years of age, it’s not too early to begin caring for your skin. It is a amazing product! The store gives a very elegant and sophisticated ambiance. All product lines are presented in such a way that makes you want to try everything. The 24K cleanser is my favorite. My first experience with Orogold was at a mall where they allowed me to sample their 24k Vitamin C collection and the 24K Intensive Eye Serum. Because of the long hours of work and school, my face does suffer, having the whole eye look dark (skin that is) and the rest of the face breaks out with acne and other stuff too. After trying the 24k Intensive Eye Serum, there was a difference – like night and day- only with one try. I really, really would recommend that to anyone with a tired eye look. I just want to say I have just won the body butter and scrub,and am,entering to win the 24k Diamond Cryogenic Mask-I’ve been,reading review all night and can’t wait to try Oro Gold! I really hope I win this one,too. I love OROGOLD! Perfect skincare experience, whatever product I choose I am always very satisfied. I love how my skin just soaks up the richness of the product into my skin. Amazing results that all my friends have noticed and even me. If ll win match maoney ,i shall vizit your shops. I have tried about everything I can to help keep my skin as young looking as possible. I am very excited about trying this if I can win it! I have never used Orogold products before, but everything that I have heard has been positive, I would love to try the products. Thank you for sharing this post. I have never heard of Orogold before, but after my visit to this page, I am glad I have now. Just amazing products..wish I would have “found” OROGOLD products much sooner.. I just recently purchased 24 products from Orogold and they are amazing! I have tried many different prodcuts in the past and nothing compares to these products. If you want to see fast results invest in these prodcuts! To have a timeless, flawless, youthful and radiant appearance says it all and has my name all over it! Have not tried Orogold, but certainly am looking forward to! All of these products are amazing! Everyone should try them! Just tried a sample of the Orogold Day moisurizer that I received while in Las Vagas, OMG! You have a new customer. These look like such amazing products. I am no longer living in California though, now on the East Coast and this weather is hard on your skin! I have twice visited the Orogold store at Arrowhead Mall in AZ and thoroughly enjoyed my facials. My Mom just got me the acid peel scrub. LOVE IT! I have tried so many other products, from many upscale stores and nothing works like your product. I have sun spots from living in Florida and going to the beach all the time. I’m only 35 years old and your product has diminished my sun spots. Thank you for such a wonderful product! It seems like a great product and I would love to try it. Thanks for the info. I would love try this amazing product. Received a sample of your product and like the results. I received a sample in the mail and have thoroughly enjoyed it. I would like a chance to try more of your products. I won two of these products in the spring. I really like them. I wish they were more affordable so I could buy more. Hope to win again. This is so exciting! I can’t wait to try this line of products! I love OroGold! I have tried the 24K Vitamin C Booster Facial Serum and it is luxurious!!! love the neck and throat treatment…. I had my first experience with Orogold while visiting Las Vegas at Caesar’s Palace mall. I tried a under eye cream which I LOVED!! I have looked at your website on and off wanting to order the under eye cream and always say when I when the lotto I’m going to buy it all! 🙂 We had family pictures taken about a month ago and I hated the lines I’m starting to get around my eye. Therefore, it is one of the top items on my Christmas list this year!! Maybe some day I will get to try more products as well!! I just started using Orogold and I love it! I can’t wait to see the results after a few weeks. Will definitely look into more of their products! I see that there are a few locations in the Los Angeles area. I might go check one out. I love all OroGold products, they make your skin feel so smooth, silky, and youthful. I can’t afford it all the time, but I do pamper myself once a year and buy one of their products. I love the availability of Oro Gold stores and love their product. The best Oro Gold face cream for my face sofar compare to other brands. This product I bought in San Fransisco, CA. Hopping Oro Gold have the store in Bellevue square Washington State. I have been using OroGold products since April of this year. I purchased my products in an OroGold store in Key West Florida. I am 68 years old and can hardly believe the difference in my skin. Also the products have evened out my skin color from many years of sun damage. I especially love the eye treatments and I don’t wake up in the morning with junk in my eyes. When I tell people my age, I am often told that I don’t look 68. Thank you OroGold. I have tried lots of other skin care products over the years, but OroGold is the best. And the Key West store staff are kind and caring. Hello, today i was walking by the Orogold store in Santa Barbara, and was brought in by a representative named Zoe. She was very kind and showed me the 24k deep peeling cream and the daily moisturizer. Both were wonderful products but sadly i could only afford the 24k deep peeling. Your products work very well and I hope to buy more products when my funds are done being affected by Holiday shopping. My mom purchased these products for me as a Christmas gift. I started using them today. I am looking forward to seeing the positive results these products offer. A lot of cosmetic products claim to do wonders, but this brand seems to be different and most important of all, they DO NOT test on animals and products are Paraben-free. These products look amazing i would love to try them out. I live in peabody mass. i am interested in products for dry skin. This is a really exciting giveaway! I haven’t had the pleasure of trying your products yet. accidentally I used the OROGOLD of my sister, it happen during my birthday, somebody are looking at my face and they said I was blooming handsome, crazy but I was surprise, now I am certified user of OROGOLD. I’m entering the giveaway! Would love to win this as a gift for my Mom! She first tried your cream in Las Vegas. She is a wonderful woman and nurse for 42 years who spends most of her free time with her 7 grandkids and spoils them!! Needless to say, she doesn’t buy things often for herself and something like this would be amazing! The products sound excellent, and luxurious, and I’d love to try them! It would be nice if you had a store in southern West Virginia, such as in the Bluefield/Princeton area, but I know that’s a pipe-dream! I HAVE NEVER TRIED IT BUT I WOULD LOVE TO I NEED SOMETHING FOR ACNE & AGE SPOTS & WRINKLES BLESSED BE HAVE A SAFE & HAPPY HOLIDAY SEASON,OROGOLD COSMETICS!! What an exciting new treatment! I am sure Oro Gold would make me feel like a million bucks! I see you have a product that peels. I’d like to try that. Thank you for your giveaway that gave to us. I’ve been looking for something for my dark circles. This sounds like it is it. Visually stunning stores you have. I know of a very lucky lady who is going to be excited to win this! I would like to try your products. I want to try the Oro Gold Cosmetics! Have heard a lot about your products! Definitely trying some soon! Wow, what a unique product, I would love to test it out!! Am interested in this product. I have dark spots on my face and I wonder if this product would help. I hope I’ll get to be a winner to try and experience the difference. Products containing vitamin C and kojic acid are best for addressing dark spots. The 24K Vitamin C Collection or the 24K Bio-Brightening Collection would be the products I’d recommend for you to try. Good luck on the giveaway! As per my knowledge, Orogold is pure & its awesome to have it. II I would love love to try all of orogold products but unfortunately it is not available here and there are no stores here either. You can always shop with us online. Visit orogold.com. Yesterday I became one of your clients and I have to say that the attention I received at Plaza Las Americas by Manuel and the GM was wonderful. It was their exceptional care which convince me to buy the products. i have never heard of this product till now i am wondering where in Canada i can find it? or do i have to order it online? it sounds amazing so i am curious if its as great as it seems! We have several retail locations in Canada. Please visit orogoldstorelocator.com to find the one nearest you. wow! would love to try this! I’m very interested in trying some. I think I would like 2 visit a store! do you have any stores in Queens, NYC? I would love to try it out. I would love to try Orogold Cosmetics! Thank you! I am enthralled about adding gold to your many products. This would be a nice birthday gift for the 7th of Jan.. Tried the eye cream and serum today. Awesome! Orogold makes great products that really do work. Love how my skin feels with orogold products! to be honest, I’m only 20 but I seriously in love with this brand. i’ve use the 24K multi-vitamin peeling, and i can see all my death skin that i never seen before. I stead of just scrubbed my face, with this peeling, i can actually see my death skin come out without irritate my skin. And it felt so soft afterward. ughhhh…. i can’t even explain it. i recommended to one of my friend to use it too. and they can see major result, thanks Orogold this awesome product. it worth every penny. I’ve never heard of your product….I would be interested in trying it. I would love to win. And it sounds like the stores are wonderful.! I would love to try out your products. Hello do you have men’s fragrances in your products? Many of our products have a neutral scent, however if you are looking for something with a subtle fragrance, we recommend the 24K Men’s Collection products. I’m so excited to learn about your line of skincare! I’ve been using a mixture of high-end spa brands and drugstore brands for years now. I enjoy trying out new products. I’m so glad I found you because I have been searching for something to give my skin a youthful glow! Fabulous stuff here! I can’t wait to try it! The fact that each oroproduct is infused with 24 karat gold is pretty unique. Would love the opportunity to try this product. Orogold is such a luxurious product! My complexion would thank you! This is the first time I’ve seen this,but I’m excited to try.thanks for sharing. Really great products and an awesome web site too. I love everything about your products especially the scent! I was in a wedding and the bridal party went to your store on vacation, it was to die for! If only I could afford to use on a daily basis, then my life would be complete! I’ve never tried any of your products! I just stumbled across your website today. I’m excited to try some of your creams! I have to say that OroGold Cosmetics are my go to products! They are amazing!!! Not only do you get to enjoy the beautiful packageing but also have a product that Works!!!!! Orogold is definitely worth the investment! And their store and spas are pure luxury like the products!! The customer service is outstanding! They make you feel like a princess! So for any women or man thinking of trying Orogold Cosmetics I say Do It you have everything to gain!!!! I have not tried this product yet but it sounds fit for a princess. I could use some pampering. I follow OroGold everywhere and dream of trying some of these products someday.I would love to try the Oceanic perfumes and some of the high quality products you make.A girl can dream of feeling sensual and fragrant and being a princess for once. Would love to try Oro Gold – looks awesome. I would like to use the 24K Oil-Control Collection has a cooling effect to calm my oily and problematic skin. I live in Florida, but I found this store at the Hilton Hawaiian Village in Honolulu and I am IN LOVE with all of it!! The products, the people, the store! Mia is fabulous and she gave me her cell number so if I ever have a question or anything I can call her! Absolutely knocked my socks off! I love your products! My skin is looking better everyday! Your products seem to be the very definition of luxury skincare. I absolutely love Oro Gold hand cream. It’s amazing! I have not ever heard of Oro Gold Cosmetics prior to today, but after looking at all the time and effort that was put into putting this site together, it has made me curious about. I will be paying much more attention to the name in the future. Looks like a beautiful store! Can you tell me if your products are available at any stores in Michigan? Unfortunately there are no OROGOLD stores in Michigan at this time but that could change as we are always expanding! I love Oro Gold Cosmetics! What a beautiful store and wonderful products! Wow luxury and elegance are an understatement. That place is gorgeous! These products are amazing. Wish I could afford to use them all the time. Love the Orogold vision! I also think visiting a Orogold store is a must have when traveling. Such a luxurious place to visit! Wow, quite the place you have. Makes me want to go to your space and get pampered. The stores appear to be very posh and high class. They are very appealing and would attract the right crowd. I have never tried ORO Gold before, but I have heard many great things about your products! I look forward to trying them soon. I would love to try out Orogold products. Thank you for this wonderful giveaway. Orogold sounds wonderful, I would love to try some Orogold products. Thank you for sharing this review. Mmm I love the orogold !! I am new to your products but my mother introduced me to the product recently. Skincare is very important to me! I love this stuff! I’ve been converted! Sounds so luxurious! I would love to try your Products. I’m hearing quite a lot of good things about Orogold and really hoping to be able to try it soon. Thanks for the information. Oro gold is the best cosmetic store and products you can find. High quality. I purchased the Orogold deep peeling and I love ot! I would love to try your products. i have for years wanted to try your product, but am unable to afford it i wish i could win my skin is so dry and yucky! Love your products. I am trying them now and am pleased so far. i can not wait to pamper my skin it has been lacking in all areas. I love, Love, LOVE the serum!! Excellent products, I would recommend them to anyone! I would love to try your product!! Wow, cosmetics actually infused with 24K Gold, I had no idea! I haven’t ever had the pleasure of trying any products from OROGOLD. I look forward to find and trying them though. I HAVE to win this contest! I have commented several times on this page and on others. I have heard nothing but amazing things about this product. I cannot afford it on my own, so i HAVE to win to be able to even try it. I would love to do more than wear my gold. It will make me glow from the inside! Interesting information! Would certainly like to try more of your products. I’m not worthy (but it looks great)! Just the name exudes the rich & luxurious feel of this make~up . This is one way to have your gold with you ALL the time ! I have never heard of orogold. I can;t wait to try it. I love the ingrediants. Ingredient lists are available for each product on http://www.orogoldcosmetics.com. Look under the product image and select the “Ingredients” tab. Wow,what great products,I can’t wait to try and share these with everyone,thanks. Love the website..easy to navigate ..awesome products..great prices! My skin could use some Oro Gold style pampering! I love orogold. They are the only product I use. If you’re looking for beautiful skin I highly recommend this company. It would be great to try these products! I haven’t yet, but would love to try the Golden ones! I was lucky enough to try your products last summer when I was in Edmonton! I wish we had a location in Nova Scotia! I would feel like gold winning this. I WOULD LOVE TO WIN THIS COLLECTION .. NEVER TRIED IT BEFORE SO EXCITING THANKS FOR THE CHANCE. I haven’t tried ORO Gold products before. And there’s no store where I live. The one pictured above looks amazingly inviting and relaxing, just like the products I’m sure. I am already OROGOLD user, I only had to say, it’s a wonder cosmetics. I am grateful for this gracious chance you have offered to the world to experience the luxury of your product. I could only be so fortunate to hopefully be blessed with this amazing opportunity. Since I was a munchkin I always dreamt of pampering my skin. I’ve never been quite financially stable to provide myself with the means necessary. Now in my 30’s I hope to soon experience glowing skin! I have not yet been lucky enough to try these products but after looking at all of them I would love to! I have heard great things from women I know who have used them. New product that I would like to try. Oh my gosh, I would love to pamper my skin with real gold! I’m so excited to have stumbled upon this! I’ve been researching skin care lines for a while now and this one looks like a winner. My skin is “maturing” and the drugstore brands just aren’t cutting it anymore. It’s definitely time for an upgrade! I heard too many reviews about Oro Gold but never tried any of its products for they are so expensive. Hope I save enough money to buy the 24K caviar and sea kelp mask. I would love to have more radiant skin! This all sounds so luxurious. I’ve never tried your products but they look fabulous and oh so pampering! I’ve had the pleasure of trying Orogold Products and they’re fantastic! Cant wait to try oro !!! I tried OROGOLD when I visited LA with my daughter. After trying the demonstration at the store I purchased the product to take home. I Loved the Product and what it did for my sensitive skin. Great page, I’d love to try the products. Thanks for the chance! Trying to win the 1,000 dollar credit to Oro Gold Cosmetics. Would love to try Oro Gold!! Heard so many good things about it! I’d love to try OroGold Products. Hope I WIN. I am planing on visiting this store while on vacation! I am excited about the products!! I love all of the products that I have tried. I have been using OroGold 24k Peeling and 24k Vitamin C Facial Cleanser for the past six months. They work excellent for me it keeps my skin healthy and young looking. I’ll be 34 in March and people tell me I look 25. OroGold brand is the only one I’ll ever use. Thier products do turn back the clock. I’m a college student too, so it doesn’t seem like I’m the ancient guy in the classroom. If I could afford the world…My skin would show it. These products sound amazing. Hoping to try some one day. I am most interested in the oil control and collagen collections- because I have break outs regularly but I am in my early forties. Do you think that will cause any problems if I combine the two lines? My skin is quite sensitive. Thanks for your question, Kayte. We recommend introducing only one product at a time for a few weeks to give your skin a chance to adjust. If everything is going well, you can slowly start add in another product and then wait again to see how two combine on your skin. This is the best way to be able to tell which products are working for you. I am very interested in trying your products, especially those for the eye area. Thank you for the information. I would love to visit an ORO GOLD tore and get that experience. Thank you for the chance to make this happen. While I haven’t yet tried any OROGOLD products, I’ve heard good reports about them and would love the opportunity to find out what the buzz is about. wow this would be great! Looking forward to trying it, if I am blessed to win ! Your products are so beautiful! I’d love to try the multi-vitamin collection because it sounds like it would be great for a lot of different skin care concerns! Only tried a sample of this brand and really loved it! These products sound amazing and would love to one day try them out for myself. I would love to see one or your Orogold stores in my state. I have always been a big fan of anything gold, and I’m sure your products make your clients feel like royalty. Amazing product with 24k Gold to pamper your skin to regain your youthful appearance. need to find out the prices of products. where are they made? My face needs some help seriously. Moving back up north my skin has aged 10 years in 5!! OroGold help!!! I wish that there was a store close to me, here in Ohio. Sounds like great products! My girlfriend talks about you all the time! I can’t wait to come out and visit! Orogold sounds very luxurious. I would love to see how the products actually work. I am interested in anti aging products as well. I am also interested in a facemask for exfoliating. I have only had samples of this product and love it! I am thinking I really like the product I tries the skin cream wow fabulous! I would love to try these products as I have heard that they really work. Love to try something new to my skin. Some that can bring a real luxury and radiant sense to my youthful skin. Tx! I wish I could get some samples so I could try it ….but I heard a lot of good things about it. I find it fascinating that your cosmetics are laced with gold. i would love to try some.Great info on your site. The best facial products in the market. I love your products!! Love, love Orogold! Visited the Lahaina, Maui store, experienced the Termica mask…I was sold on Orogold. It would be such a honor and also so, so,exciting two be the winner! I bought the vitaminn C serum, facial cleanser and peel while in New York for Fashion Week. Since I sratered using the products my skin is looking amazing in only 3 days. What an intriguing line of products! Good info. I like that 24k gold is used. Luxury, elegance and attentive service is exactly what the Doctor ordered. I have been stressed, tired, and not as attentive to my skin as I shaould be. Your products and services sound like a wonderful retreat. I would love to try your products! Hello. I’ve read numerous rave reviews about your products. Can you please direct me to the store closest to me? I live in the Indianapolis, Indiana area. To find any OROGOLD store around the globe simply click here: http://www.orogoldstorelocator.com. Do you still make Tea Tree Oil and if so, where can I get some. Do you have a store in the Nashville, TN area? Unfortunately, there are no locations in Tennessee at this time. I recently star with the eye cream and I plan to go to store soon to find more products. About three years ago, my daughter in law and I were in chicago and got stopped by a young in the HUGE MALL on the mag mile. He introduced me to the 24k anti aging eye serum and gave me a sample of some neck creme. I am a LaMer customer. We kept calling him HUGE PLEASURE, because he kept telling us it was a HUGE PLEASURE meeting with us and selling me the product. Orogold does make you feel as pampered as LaMer and I am back ordering more, because it doesn’t take much product ot get that beautiful skin! I thank you Dr. for your wonderful discovery and the organics of the orogold products. OROGOLD branded products are made in the USA and Japan. Japan is a leading manufacturer in international skin care and select formulas are manufactured there in an attempt to provide the absolute best product available to our clientele. We are certain that you will be more than satisfied with your purchase and always aim to carry the most effective high quality products. the sales lady at the Galleria Dallas, Hadar, is wonderful. she had me test a product for my face and I love it. Hadar is great. Hi! I want to know the price of the vitamin C serum. I want to buy it in London. Thanks. Thank you for your interest. You can find the price for the 24K Vitamin C Booster Facial Serum here. For information about our stores in London, click here. I would love to work for the brand,are you guys hiring and,if so where can I apply..? Thanks for your interest! Please fill out this form here. While visiting my son in California, I purchased orogold at their Los Cerritos store. Very happy with the results I am getting using the products. Hi, so far I love your stuff! But I just came across the image of a bunny under one of your products- does that mean you do or you do not do animal testing? Sorry if this is an obvious answer. Our products are cruelty-free. We are against animal testing. Love these cosmetics! I’ve used them for a year and a half! Pour avoir déjà employé ces magnifiques produits, je rêve de les réutiliser. Today I was pleased to meet the Orogold store in Salvador Shopping, Salvador, Bahia. In the meantime, we were very well attended, by a gentle Lady, who demonstrated the product line.